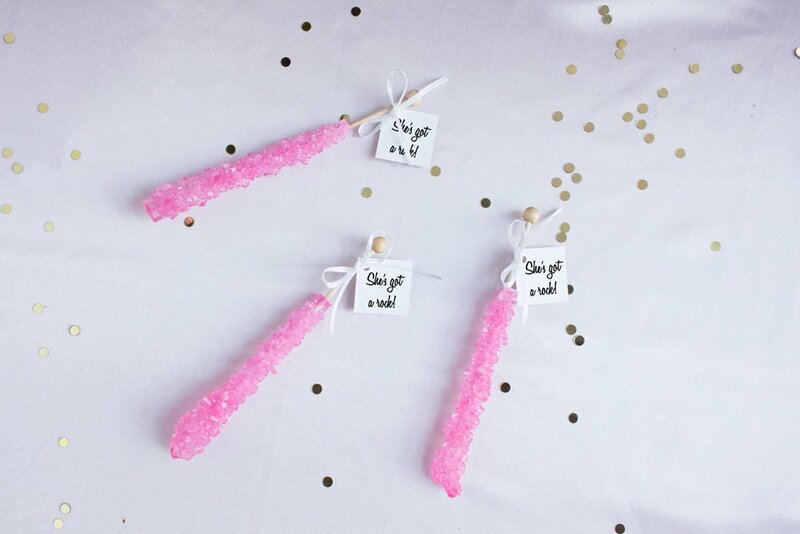 Being the holiday season, we know lots of you girlfriends out there are turning into brides-to-be, so we decided to share a fun and easy DIY engagement party rock candy favor! 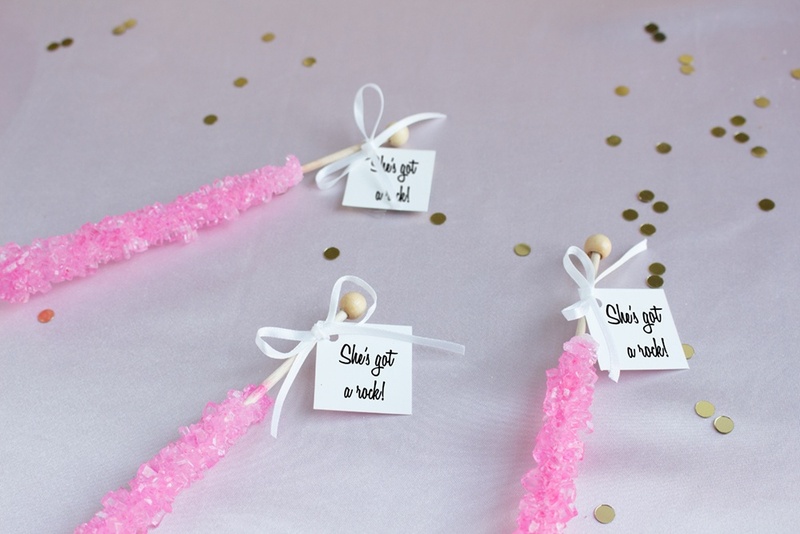 Seriously, you won’t believe how easy these “She’s got a rock” rock candy favors are — all you need are three materials! 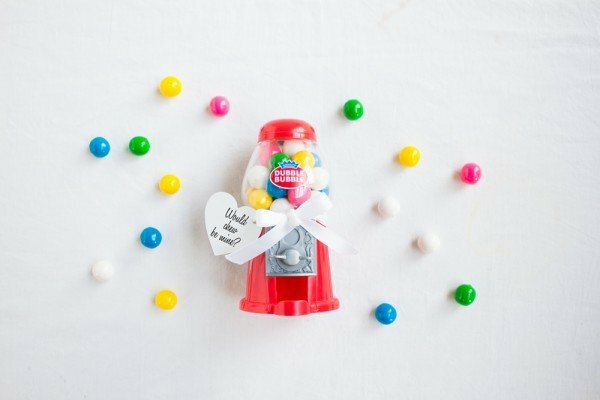 Yummy and creative, check out the project below. 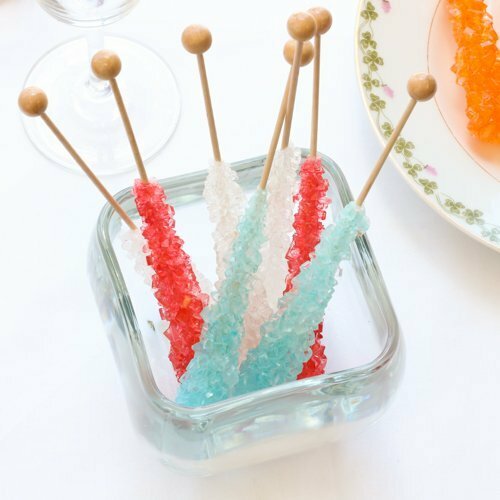 Choose your favorite color rock candy (we personally love pink or light blue) and tie on a tag that reads “She’s got a rock!” Keep these treats handy for engagement party guests to enjoy at the event, or wrap these in cellophane bags so guests can take them to go. Can you believe that’s it? What color candy would you choose? 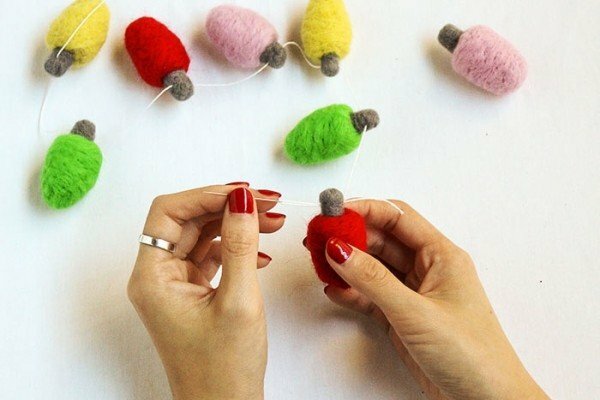 Did you get engaged this holiday season?